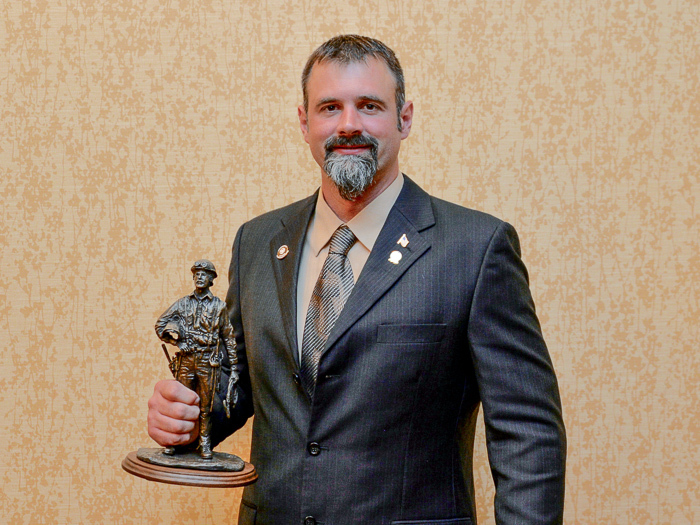 Marcus Delo, L-169, receives his trophy after being named winner of the 2016 U.S. National Apprenticeship Competition. 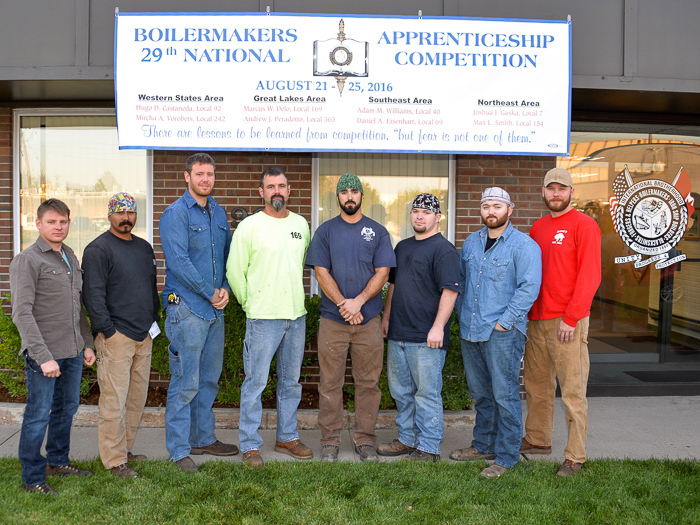 National contestants, left to right: Mircha Vorobets, L-242; Hugo Castaneda, L-92; Andrew Peradotto, L-363 (runner-up); Marcus Delo, L-169 (winner); Adam Williams, L-40; Daniel Eisenhart, L-69; Max Smith, L-154; and Joshua Gaska, L-7. 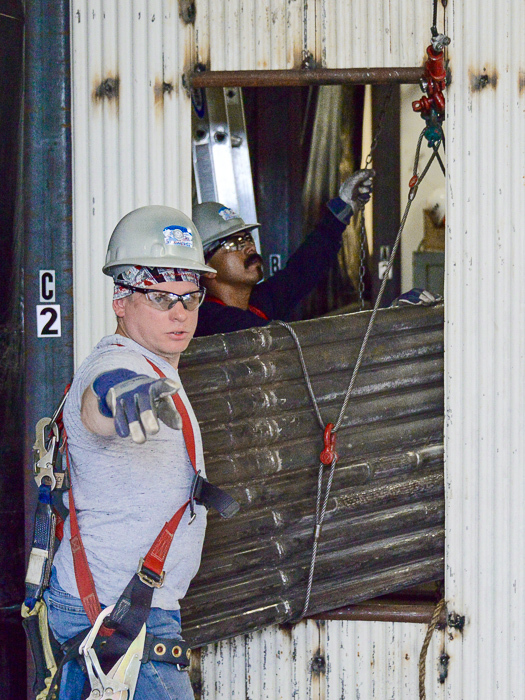 Mircha Vorobets, L-242, left, and Hugo Castaneda, L-92, winners of the team award, work together during team rigging. 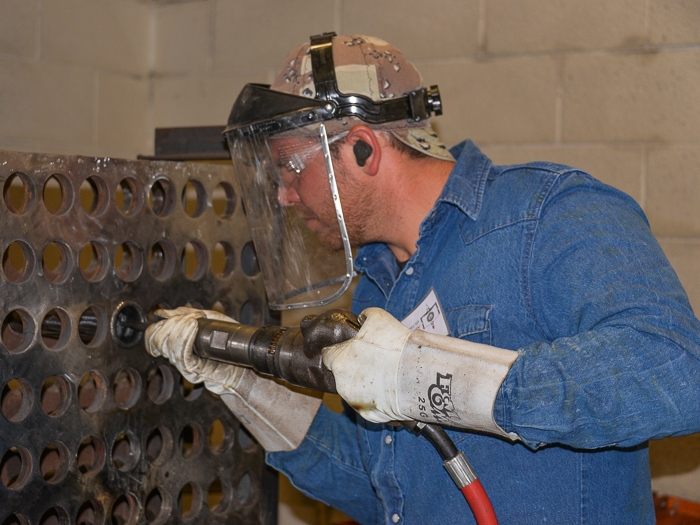 Daniel Eisenhart, L-69, checks his work during the welding exercise. 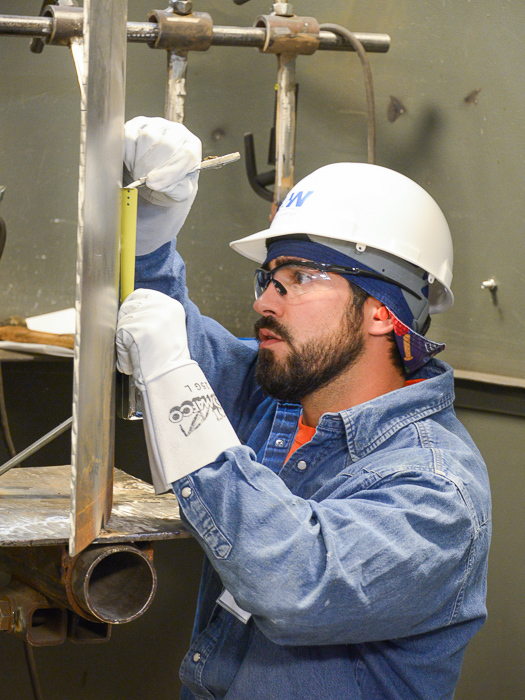 Adam Williams, L-40, measures a steel plate during layout and fabrication. Mircha Vorobets, L-242, cuts out a tube during the tube rolling exercise. 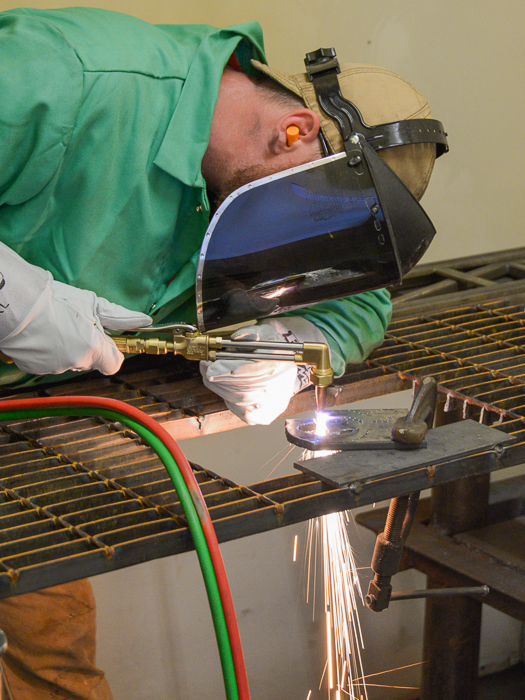 Hugo Castaneda, L-92, tests his skills during the welding exercise. 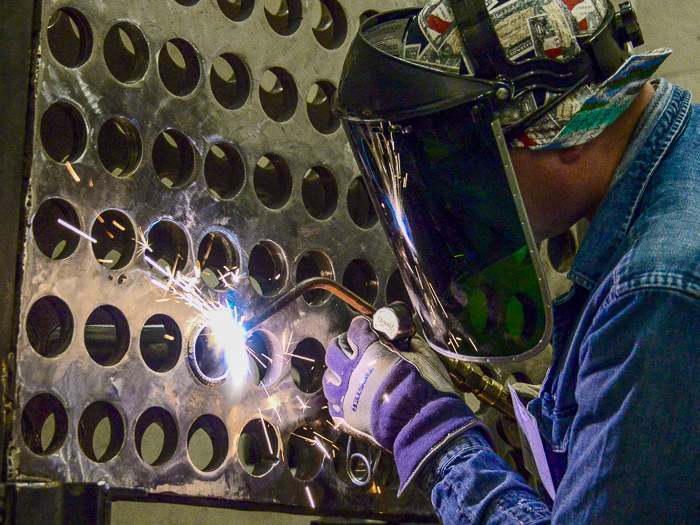 Mircha Vorobets, L-242, removes a tube from a simulated waterwall panel using an angle grinder with a wafer wheel. 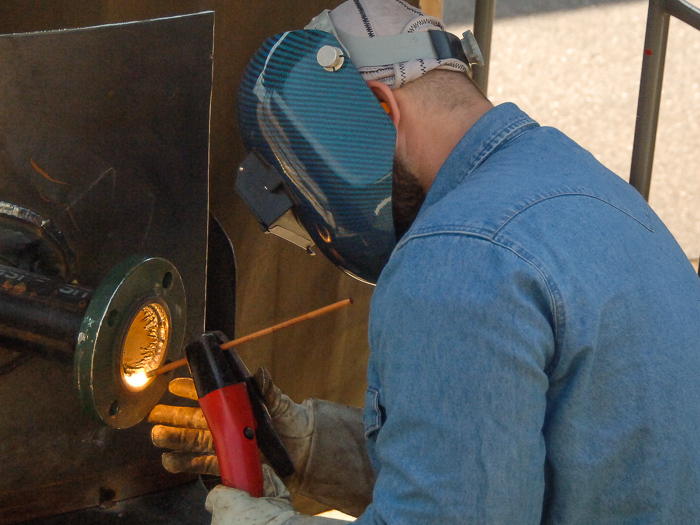 Max Smith, L-154, uses an Oxy-Acetylene torch to cut out an elliptical penetration for a nozzle on a rolled tank sheet. 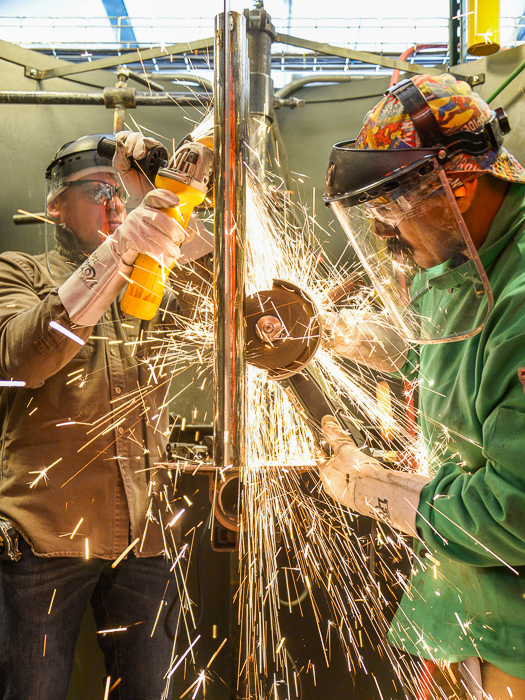 Mircha Vorobets, L-242, left, and Hugo Castaneda, L-92, winners of the team award, collaborate on the waterwall exercise to cut out a bad tube and replace it with a new one. 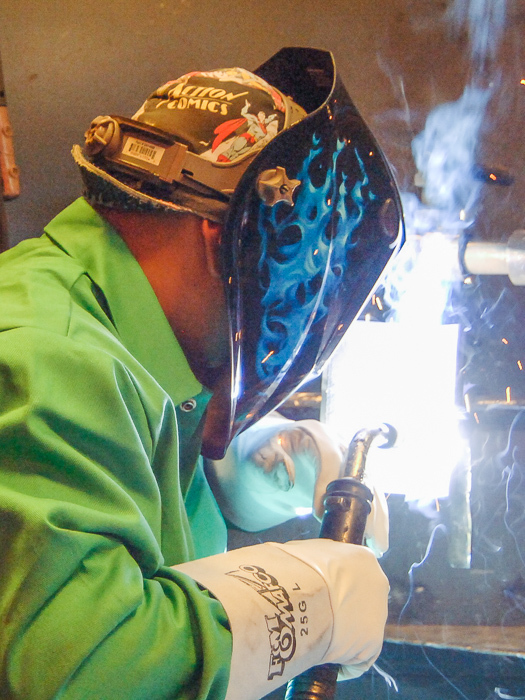 Competition runner up Andrew Peradotto, L-363, uses a lady slipper to bead a tube. 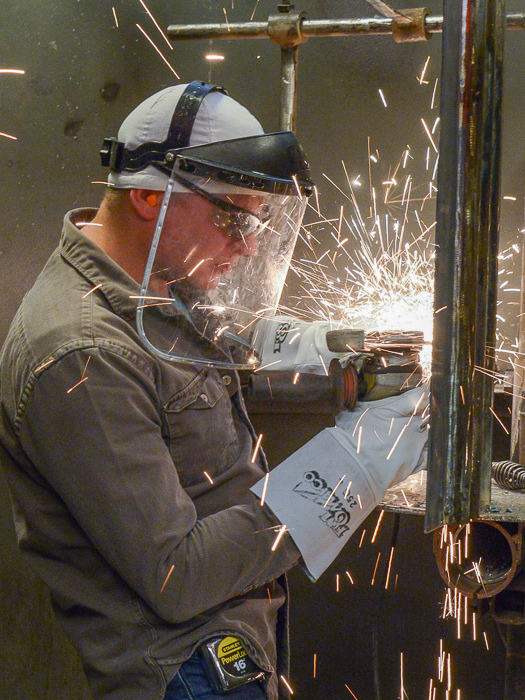 Max Smith, L-154, uses arc gouging techniques to separate two welded components. Joshua Gaska, L-7, cuts out a French curve. 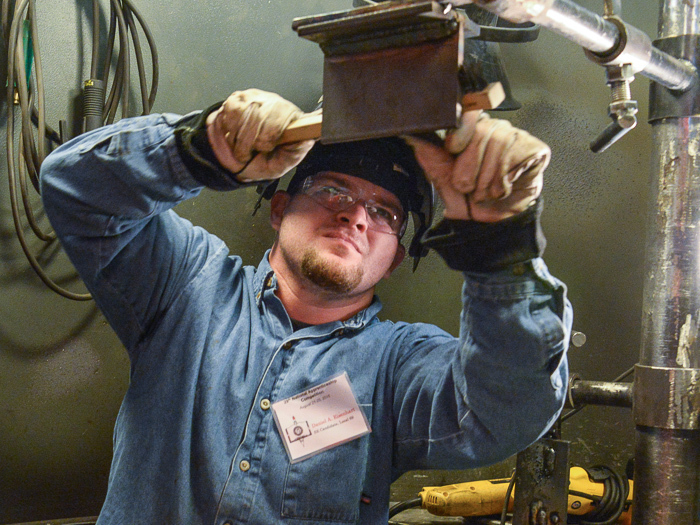 Andrew Peradotto, a member of East St. Louis Local 363, was named runner up. Team honors went to the Western States Area, which paired Hugo Castaneda, Local 92 (Los Angeles) with Mircha Vorobets from Local 242 (Spokane, Washington). 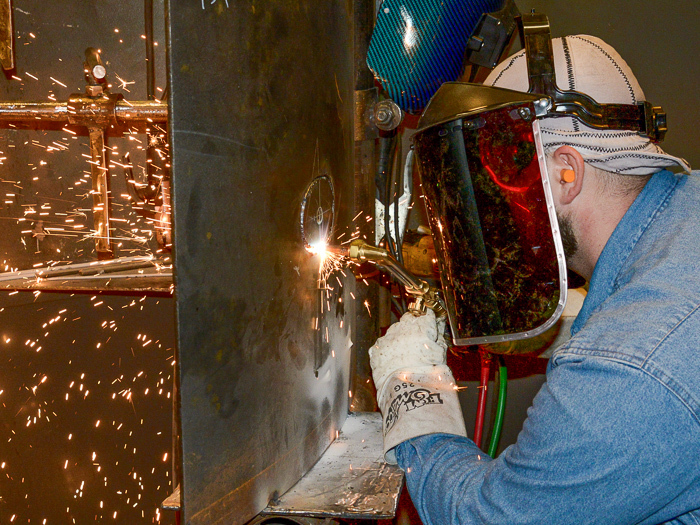 Also competing were Daniel A. Eisenhart, Local 69 (Little Rock, Arkansas); Joshua J. Gaska, Local 7 (Buffalo, New York); Max L. Smith, Local 154 (Pittsburgh); and Adam M. Williams, Local 40 (Elizabethtown, Kentucky). Judges for the event included, by area: Western States — Pat Fross (Power Source Service, Inc.) and Mike Huffman (retired, Local 101); Great Lakes — Brian Dowden (BMW) and Jason Hettel (Local 29, Boston); Southeast — David Bailey (Central Maintenance) and Shon Almond (IR-CSO); Northeast — John Cammuso (Babcock Power, Inc.) and James Paglia (Local 29); and National Transient Division — Walter Cook (Fisher Tank Company) and Monte Causey (IR-CSO). Michael Stanton (Local 154) served as test administrator. The candidates were recognized and awards were presented at a dinner held August 25 at the Westin Denver Downtown. Presenters included International President Newton B. Jones; International Vice President-Northeast D. David Haggerty; BNAP Program Chairman Michael Bray; and BNAP Program Coordinator Marty Spencer. Spencer also served as master of ceremonies.